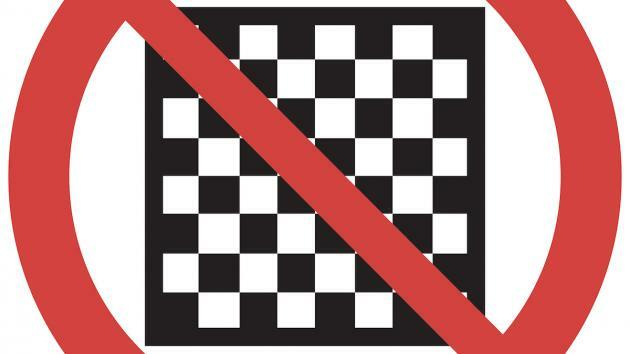 If you're doing this over the chessboard, stop immediately. It is not a secret that many inexperienced chess players love to give checks regardless if they're good or bad moves. What's worse, they always announce the check to their opponents. I guess it makes them feel empowered and cool. In reality, it is as stupid as attacking your opponent's rook and warning your opponent, "be careful, your rook is under attack!" Excerpt from The Simpsons via Imgur. Your opponent could have blundered his rook if you didn't warn him! You can say that with checks it is different since your opponent cannot blunder his king. First of all, he can! In a blitz game it is perfectly legal to capture your opponent's king. But even in a regular tournament game, missing the fact that your king is in check can lead to dramatic consequences. Sometimes it is even worse than the loss of the game! In the position, the famous Soviet grandmaster Alexander Kotov played 28. 0-0-0! At first Boris Spassky was speechless, since the author of the bestselling book Play Like A Grandmaster didn't play like a grandmaster. Finally, Spassky said, "Alexander Alexandrovich, this is an illegal move!" In one of his books, Kotov described this episode, saying that this mistake didn't spoil his winning position, and after the legal move 28.Kf1 he won shortly. But the biggest consequence of this game, according to Kotov, was that he realized that his best chess years were behind him and it was time to think about retirement from chess. Why would Anatoly Karpov play 54. Qe7?? That looks like the most ridiculous move in the position. I bet you already know the answer! Yes, in mutual time trouble, he missed a discovered check and played an illegal move, 54. Qe6. Due to the touch-move rule, he was forced to move the queen. Ironically, if he had played an even more ridiculous-looking move, 54. Qd7!, he would have been able to save the game after 54...Rxd7 55. Kg6. A similar episode happened many years ago in one of my scholastic team tournaments. The last game would decide the fate of the whole match and therefore the players of both teams circled the board. In mutual time trouble, the game reached a truly wild position. Here Black played his last move before the time control: 2...Bf2 double check, and the total silence was broken with a collective gasp. The kid was obviously happy since the variation 2.Kd2 Qe1+ 3. Kxd3 Qe3 checkmate looked absolutely forced! Unfortunately, the moment of his triumph didn't last long, since all our team members started screaming, "That was an illegal move!" Indeed, 2...Bf2 was a brilliant, but nevertheless illegal move, so the game was returned to the position before 2...Bf2. When Black tried to play 2... Qxg8, he was instantly notified of the touch-move rule, and that he has just one legal move with his bishop to defend against the check. As the time control passed, our kid had a chance to catch his breath and with a big smile on his face he grabbed Black's queen. Meanwhile his opponent ran out of the playing area and returned back some 10 minutes later with red, puffy eyes. He was immediately notified by an arbiter that he had to seal his move since the game was adjourned. We expected the kid to resign right away, but he nevertheless sealed his move. We were celebrating the win in this match, since the outcome of a game with an extra queen and a rook was quite obvious, but our coach didn't look that happy. He explained that the position is not that clear since after an obvious sealed move, Black had some threats. It was quite annoying that we couldn't find an easy win with such a humongous material advantage, but it got even worse when one of the kids asked with a somber voice: "Do we have at least a draw?" The insanity went to a totally new level when we unsuccessfully tried to find a draw having an extra queen and rook! After hours of analysis the verdict was very painful: White was losing. We started brainstorming the situation. The suggestion to offer a draw was rejected since after their home analysis, our opponents would already know what was going on in the position. Then one of the kids approached our teammate Alex, who always bragged that his uncle who lived in Riga was Mikhail Tal's neighbor. —Can you call your uncle, so he can ask Tal for advice in this position? —Well, Tal loves crazy positions. Besides, this is our only chance. After some gentle (or maybe not so gentle) pushing, Alex promised to call his uncle in the evening, so we were waiting for a miracle. We didn't hear anything from Alex the next morning and the time of the game resumption was quickly approaching. About one hour before the start of the game, we saw Alex running towards us and yelling just one word: "Draw!" Indeed, true to his nickname, "the magician" Tal had found an incredible draw. Can you find it yourself? It is amazing that White must give up every single piece that he has to achieve a draw. It is even more amazing that it was so difficult to trade a queen, a rook and a bishop just for a pawn! I hope that this little story doesn't distract you from the main point of the article: Never announce your checks!